Despite trying to be the best parent possible to our children, we often mess up. Parenting isn’t easy, and mistakes are part of the job. Many times, mistakes don’t reveal themselves until well after they were made. It’s then too late to do much about them, or you have to work hard to mitigate the consequences. 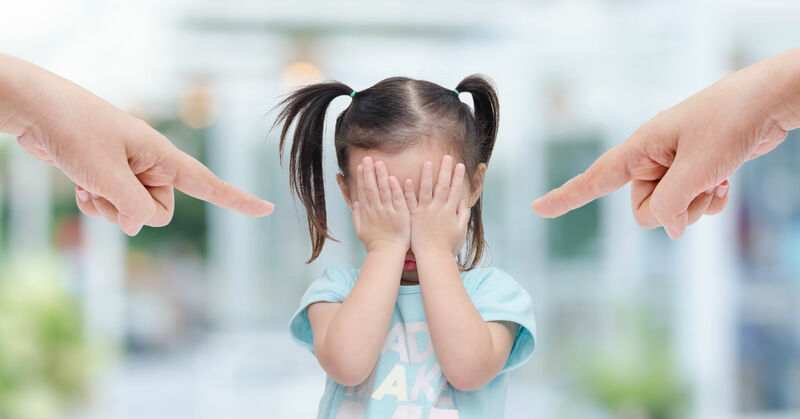 Since it’s often easier to prevent rather than fix mistakes, it’s important to identify some of the most common ones parents are guilty of making for whatever reason. There are 12 mistakes many modern-day parents are making with their children. Instead of arguing when children demand something, many parents will simply just give them whatever they want. We want to see our children happy, so we jump at the chance to do that. The only problem is that it can end up hurting them in the long run. A study by adult and child psychiatrist Tim Van Deusen found that spoiled children are more likely to grow up to be entitled adults. Times have changed and so have children. Using parenting tactics from the 70s aren’t as effective as they are now. It’s understandable we want to stake claim on our children. That’s innate, especially when it comes to parenting. However, allowing other people to discipline your children can help them obey authority as they grow up. Many parents believe a busy schedule gives their children the foundation to be busy, successful adults. Unfortunately, it’s can do more harm than good. Children who are over scheduled often suffer from anxiety and physical ailments because their bodies and minds do not rest to remain calm and healthy. Humans are programmed to prefer instant gratification. But in life, as we all know, that doesn’t always happen. Not taking the time and patience to teach children that instant gratification isn’t something that occurs at all times can backfire someday, making life really hard at times. Consequences teach children right from wrong. Without them, many children end up confused when they become adults. Life gets busy, but consequences need to be a priority. Being a child or teen is hard; we can forget that at times. Being able to take a minute to realize how difficult life is at that age can boost confidence, lead to greater bonding, and happiness for everyone. Parents make mistakes, and children do, too. Just as you wouldn’t want to be criticized for your mistakes, your children don’t want to be either. Discuss the mistakes, enforce consequences, and then let them know it’s not the mistakes that define who they are as people; it’s what they do after those mistakes that matters. Many parents don’t want to have “the talk” because they don’t want to expose their teens to anything and it makes them uncomfortable. The truth is that they will be exposed anyway, and the awkwardness of it will subside as the topics are discussed. Children need a parent who provides structure, support, and relief from life. This means being hard on them sometimes, and that is counterproductive with being a best friend. You don’t have to do what parents do because your children are not their children. Comparing yourself to others will only make life harder on you and your children. Children don’t listen to what you say as much as they pay attention to what you do. If you want your children to be honest, respectful adults, be an honest, respectful adult. They will model you. No one is the perfect parent. Do the best you can with what you know. Just by reading this, it’s obvious you’re a caring parent and that is the most important factor in being a good parent.